Sprocket for #35 chain. Has 3/4" ID. 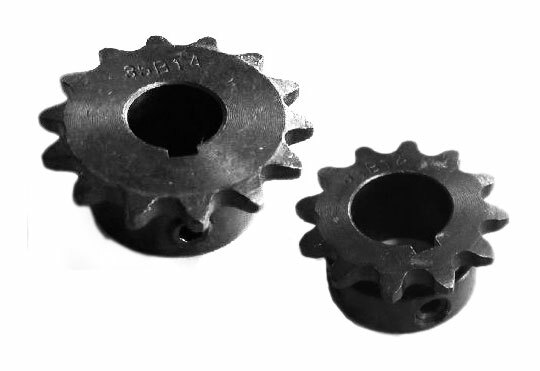 10T & 11T Sprockets have 3/16" key broached into the hub rather than a keyway, so no key is needed. 12T-18T & 20T Sprockets have 3/16" keyway. Q: Will these gears fit an inferno clutch? I am looking at a 14T and #35 chain.